See… remote… still wasn’t sure if I was using it correctly at this point. But the pups were pretty interested in what I was doing. After just a couple of shots, though, they got bored with me and started running and wrestling around as they usually do in the back yard. For fear my camera was going to get trampled into the dirt… I gave up. 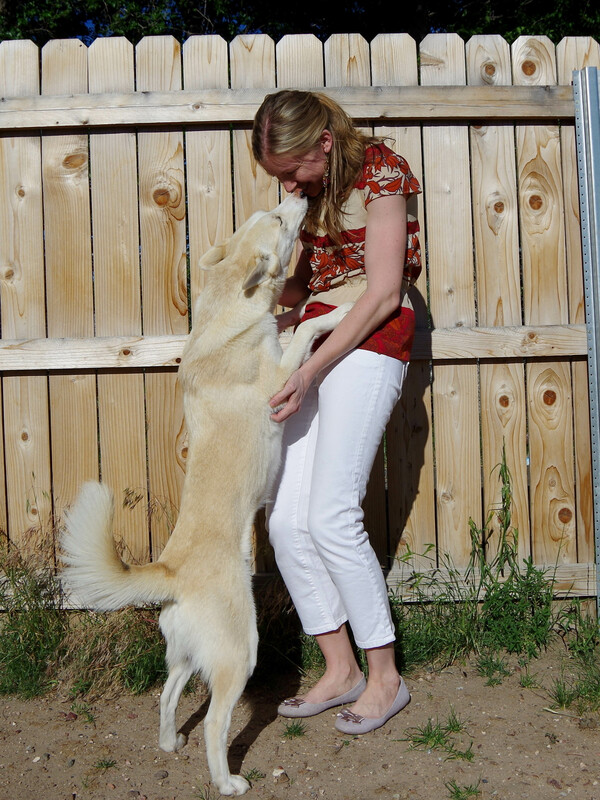 The pups, plus the wind – it was a challenge getting any photos at all! Anyway… to the challenge. 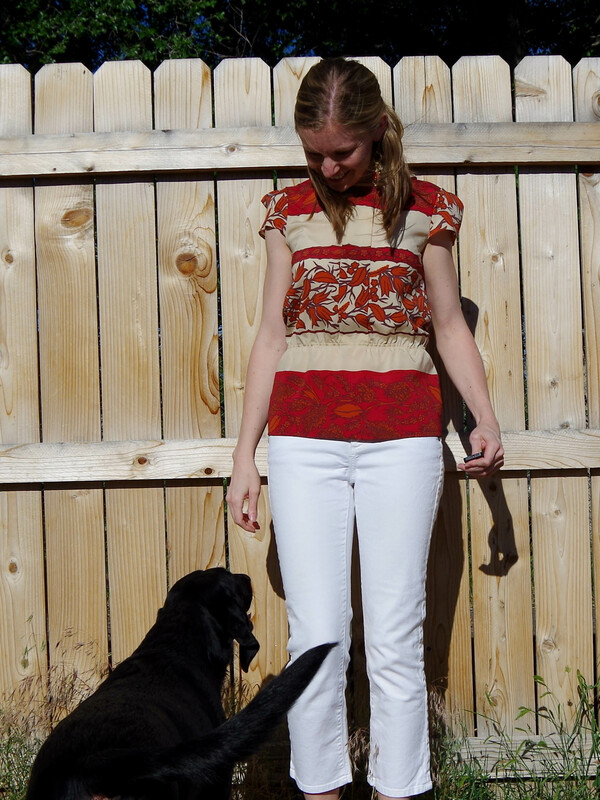 The second week of Indie Pattern Month was the New-To-Me challenge. The idea was to branch out and use a pattern from an independent designer/label you’ve never used before. That part was easy considering I’d not used any indie patterns before. Choosing just one was the challenge. 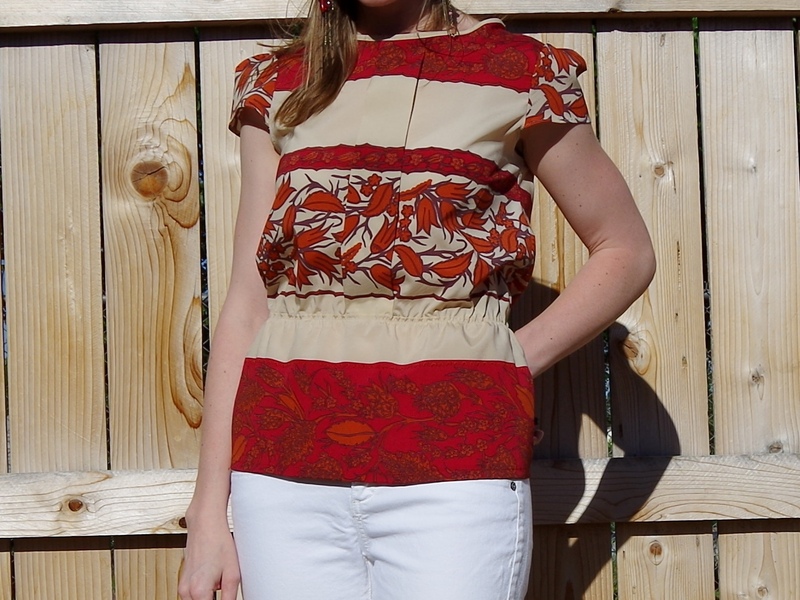 I ended up going with the Minna Blouse from Salme Sewing Patterns. I also purchased their Cropped Blazer pattern for later use :) In the process, though, I learned about this whole world of independent designers I never knew existed. Crazy! Love it! Made this from the silk crepe de chine I got from Mood Fabrics. Cost to make, including the pattern: ~$24 (to date, this is the most expensive fabric I’ve purchased at $17/yd! eek! It makes me nervous to buy nice fabric!) Will I make this top again? Definitely! I’m not a huge fan of the sleeve shape though, so I’ll probably adjust them a little for my next make. Size-wise though I think it turned out perfect. I cut the size 6, adding seam allowances as instructed. Now go back and look at the first picture and tell me at first glance it doesn’t look like my hand is in a pocket. Totally does, right!? :) There’s another idea for next time… pockets!